Malaysian will have the chance to view a partial lunar eclipse on 8th September 2006. 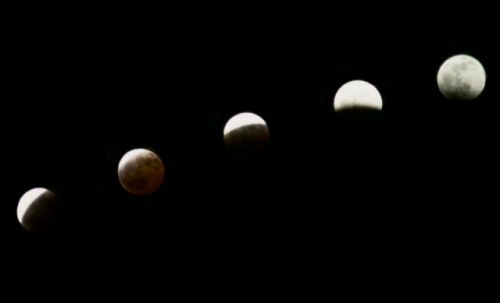 Although the whole event lasted for more than 4 hours beginning from 12.42am, the best time to view it is around 2.51am, when maximum eclipse occur. As it is only a partial eclipse, only part of the Moon will be block. A tiny part but still apparent to the naked eye. A special observation session will be held in USM on that morning. However, I'll probably observer from my observatory at Balik Pulau.